Now, the fact that I have a second favorite team may surprise many of you. Sometimes when I really think about it – it’s surprising to me as well. That team would be the Arizona Diamondbacks. Over the years, I’ve had known players traded there, been friends with some and am still friends with others. I’ve watched the team prosper but mostly flounder and this was looking like a year where they could beat the San Francisco Giants and even the Los Angeles Dodgers appear to be beatable in 2016. The DBacks beat out two of their division rivals to get the great Zack Greinke. They’ve got one of the classiest, not to mention best players in the league in first baseman Paul Goldschmidt. And until yesterday they had an up and coming star center fielder, an All-Star last year, in A.J. Pollock. Now Pollock is out for an unknown amount of time with a broken elbow that will require surgery. That’s a big loss to the Diamondbacks, but it shouldn’t kill their postseason chances …. The first big surprise of the winter came when the Diamondbacks signed Zack Greinke. 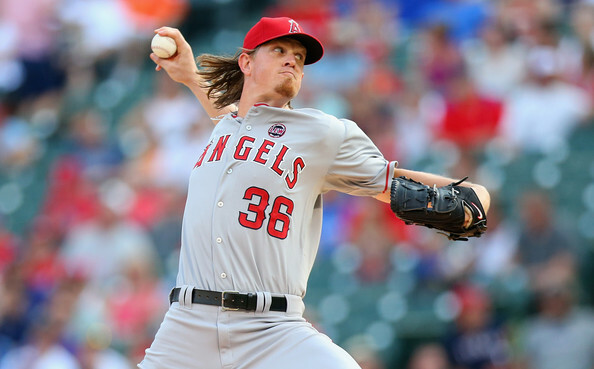 The organization followed that up with trading a heavy price tag to acquire Shelby Miller to back him up. Dave Stewart has taken a lot of crap for a lopsided deal. I think that is very speculative to talk like that. Besides Free Agent Pitchers are expensive, and a way for small market clubs to negate that is to trade for a controllable player. La Russa also knows that his club is set up for a winning window of approximately 3 – 4 years. Keep the aggression when it comes to upgrading this team. You simply couldn’t have asked for a better start to a winter in 2015 for Arizona. They are legitimate contenders in the NL West, and still should have the wherewithal to spend another $20 – $25 MIL on salaries for 2016. I love the aggression set forth by the management. I hope they keep the pedal to the metal on this one. A nucleus of a team lasts 3 – 4 years for a mid market club, and by the acquisitions the team has done here completely reflects that. We have discussed how the Houston Astros developed their young club for a few years now. It is clearly the best way to rebuild a team. Another reason why the team has had the financial flexibility to create these maneuvers is that they have Paul Goldschmidt on perhaps the best valued contract in the game of baseball right now. The other Infielders in the mix for the Diamondbacks need to step up the production for he Arizona squad in 2016. Whether it is Chris Owings at 2B or Nick Ahmed at SS, these positions were not league average for the slots, as was third base either. Arizona was carried offensively by Goldschmidt and a great productive OF in A.J. Pollock, David Peralta and Ender Inciarte. The club dealt Inciarte in the Shelby Miller deal, but could pick up the slack with giving his OF position to Yasmany Tomas full time in 2016. Welington Castillo was one of the most prolific Catchers in the Majors least year, featuring a 3 slash of .255/.317/.496 with the Diamondbacks, clubbing 17 HRs and knocking in 50 RBI during his 254 AB for the club. In a roundabout way, he bettered what the club had previously in Miguel Montero, who incidentally was the reason why Castillo was flipped to Seattle initially. Talking Royals, SF Symphony and answering an e mail from Michael Reisman. The Giants are also only 1 win away from becoming the team of the decade, and it is only 5 years old. San Francisco keeps scoring runs without actually getting hits. Insane… All of that and more on this episode of The Sully Baseball Daily Podcast. 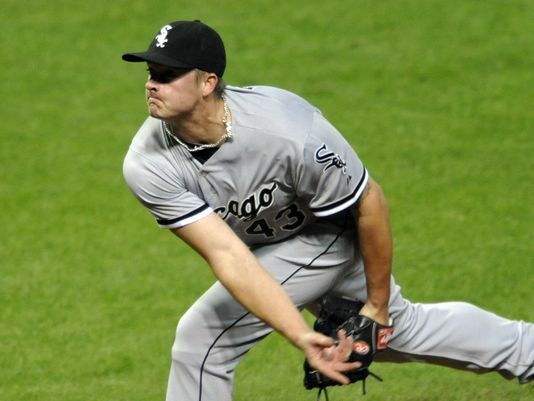 The Arizona Diamondbacks made a trade for Addison Reed, making them the latest team to fall victim to the tyranny of the closer. 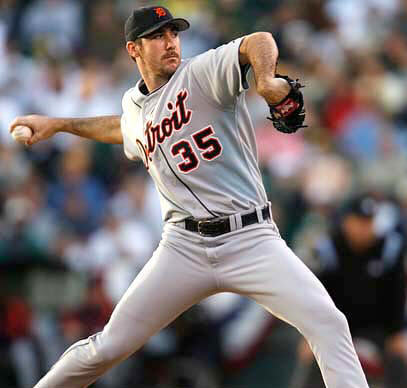 Also I get mad at podcasters who misuse the term “Live.” New Sully Baseball Daily Podcast. 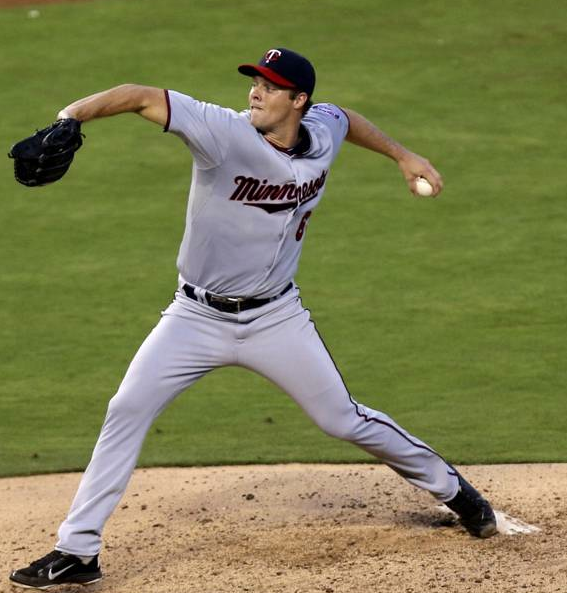 Andrew Albers had a remarkable big league debut. The Twins left hander pitched shutout ball into the 9th inning. 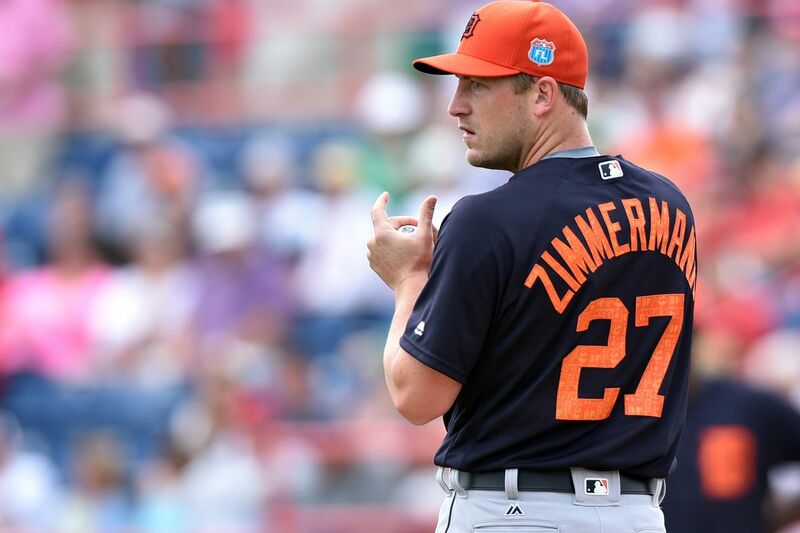 He finished with 8 1/3 innings, no runs, 4 hits and only one walk, topping the Kansas City Royals, 7-0. Adam Jones went 4-4 with a homer and a stolen base. He drove in runs in the first and fourth and scored in the 8th as the Orioles beat the Padres, 4-1 at PetcoPark. Matt Latos kept the Oakland A’s off the board during his 7 1/3 shutout innings, letting up only 4 hits. He got the win for the Reds, 3-1. Eric Chavez hit a game tying RBI double and then added another run scoring double to extend the lead as Arizona topped Tampa Bay, 6-1. They all owned baseball on August 6, 2013. The Brothers Upton are not living up to expectations. 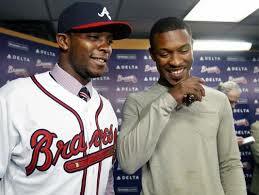 With the exception of an MVP type like April, Justin Upton is hitting right where B.J. Upton has for the year. However there is something to be said about the anticipation of the trade deadline as it’s almost the summer version of the winter meetings in which it allows teams to make that one final push towards their ultimate goal of winning a World Series. And while some fan bases will have renewed hope or further reassurance that their team is in it to win it, other fan bases will suffer the harsh reality that their team is no longer a contender and that they will be more or less packing it in for the rest of the season. Over the winter meetings the Braves put themselves in kind of tricky spot, possibly without even realizing it. 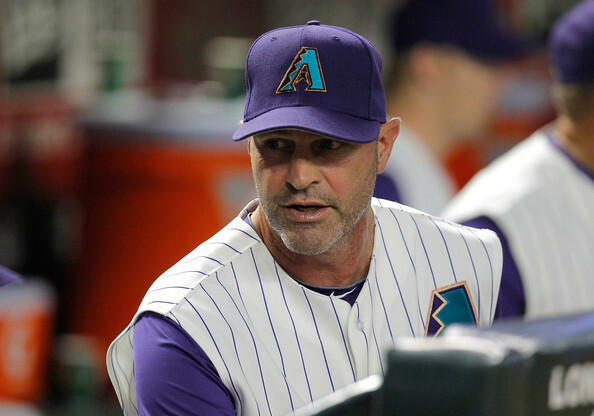 Kirk Gibson has the Diamondbacks going in the right direction and they have a three game lead in the NL West Division. They have the best record in MLB in one-run games at 17-10, and also have the best in extra-inning games at 8-2. They have withstood numerous injuries to key players on their roster, and are finally getting healthy which is bad news for the other teams in their division. Gibson expects plenty from his players, and he commands respect with how he manages the team. He also has the team believing that no lead is insurmountable. The Arizona Diamondbacks are in first place and this is big surprise considering that they did not have their starting second baseman for about two months, they were without a true closer for the past month, and the player that was expected to play center field has yet to play a game this season. Blue Jays And Dodgers Are Done In 2013: Stick A Fork In Them: Angels Are Marinating! The Dodgers don’t lead the Majors in many categories this year (except for Bench clearing brawls). The 1st incident with the Padres cost them Greinke with a broken clavicle. He will likely be suspended for more games. Who else will be suspended?? We should find out from baseball today. Meanwhile the team is 28 – 37 – and 11 Games behind Arizona. It is time to call it like it is – and back it up with some cold hard facts. As a former professional oddsmaker, I understand why the ESPN page lists the Blue Jays at a 2.8% chance to make the playoffs – and the Dodgers just slightly better at 2.9%. The math involved is not even as complicated as Sabermetrics. I will show you how they have derived this notion. The fanbases will always tell you that they are one big winning streak away from jumping back into the mix. They would be right some of the time (Note the 2007 and 2009 Rockies, the 2012 Athletics, the 2011 Cardinals and Rays also made up around 10 Games deficits for playoff spots even in September). I can also think of the 2005 Astros flying off the wall in the second half to earn a playoff spot. Here is why these two teams are deep trouble. 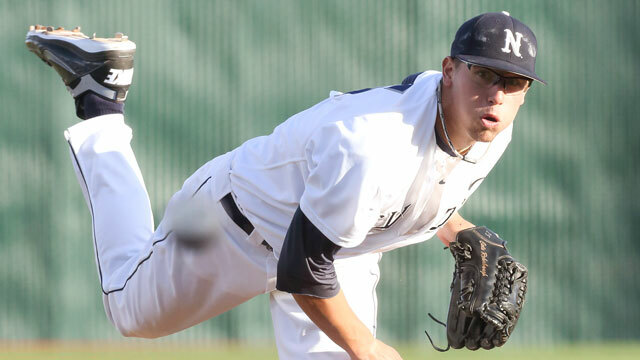 Braden Shipley is a right-hander from the University Of Nevada. He was taken with the 15th pick by the Arizona Diamondbacks in the 2013 First Year Player Draft. This also makes him the highest pick in any sport in Wolf Pack history. He has a great fastball that tops out at 98 mph, to go along with an improving curve ball, and a plus change up. He went 7-3 with a 2.77 ERA while striking out 102 batters in 107 2/3 innings this season for Nevada. He has the potential to be a future ace for the Diamondbacks. Arizona also believes that because he has only been pitching full time for a couple of seasons, there is more room for growth than most college pitchers. Arizona Diamondbacks have one of the deepest farm systems in all of baseball, in terms of quality arms. They have Patrick Corbin pitching great for them this season, and Tyler Skaggs has already made two starts for them. 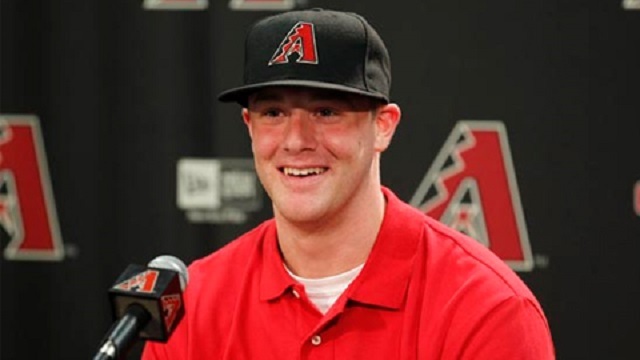 There is another pitcher they have in Archie Bradley, who is pitching lights out for Double-A Mobile and could be an ace for them in the rotation. 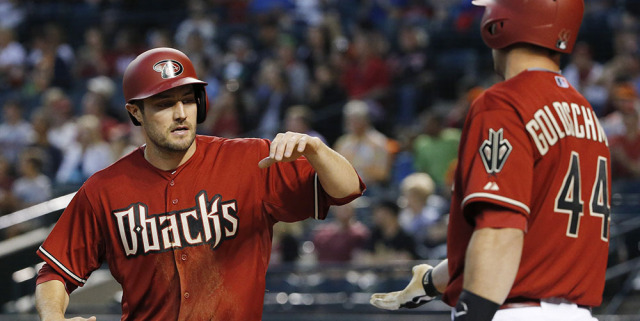 The Arizona Diamondbacks got off to a great start at 8-4, but have recently cooled off. They have struggled on offense in key situations late in ballgames. They are ale also missing some key members from their line up. The team has also encountered some hot teams and one of the tougher schedules in terms of playing team with winning records thus far. Arizona is 2 – 1 vs STL, 3 – 0 vs MIL, 1 – 2 vs PIT, 1 – 2 vs NYY and 1 – 2 vs the Colorado Rockies. All of these teams have a +.500 record. The only team is the LA Dodgers (who they are 2 – 1 against this year, 8 – 10 overall – and were above .500 when they played them.) The DBacks sit in 3rd in the NL West, 3 Games Behind the Colorado Rockies heading into play Monday night. The Arizona Diamondbacks started off the season great by going 8-4 in their first 12 games. They were going to face a challenge in the third week of the season by staring a nine game road trip. They were going to face The New York Yankees, Colorado Rockies, and San Francisco Giants. These three teams each represent a different degree of difficulty for Arizona. The Yankees can score plenty of runs in short time frame because of their ability to hit HRs. The Rockies have a lineup that is strong top to bottom. 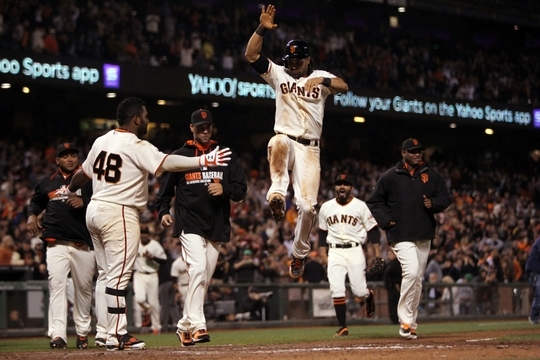 The Giants have a great bullpen with an offense that is improving each game. 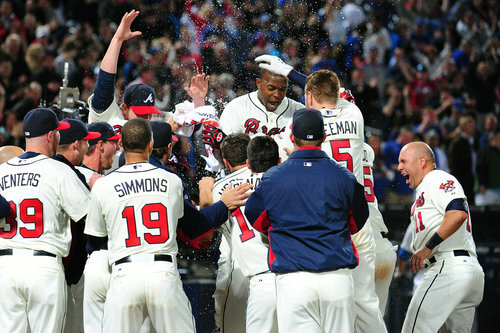 The Braves have roared out of the gate during the 2013 MLB Season, with a baseball best 11 – 1, including a convincing sweep of the Washington Nationals over the weekend. This has been done without long time player Chipper Jones retiring – and Brian McCann being on the shelf for the 1st part of the season. At 11-1, the Atlanta Braves can seemingly do no wrong. Fresh off a sweep of the Washington Nationals, the Braves can make a very good case regarding their status as the best team in the NL. That spot was occupied by the Nationals in the preseason chatter. And I wouldn’t blame the pundits who circled them as the NL’s best team. After all, they fixed their leadoff spot woes with the addition of Denard Span, further improved their bullpen with Rafael Soriano and probably most importantly, started the season with an improved Bryce Harper. On paper, they had minuscule flaws.